Join the largest meeting of life sciences industry professionals in the UK. 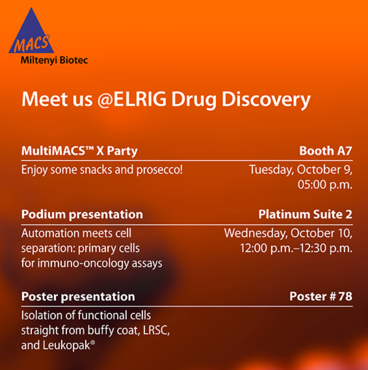 For the 12th time, ELRIG’s flagship conference, Drug Discovery, brings together over 100 exhibiting companies and more than 1,200 delegates to share the latest ground-breaking research in disease biology and to introduce cutting-edge advances in the application of laboratory technology. Primary cells needed? Drop by our talk on automated cell separation or visit our poster presentation. Whether you are performing in vitro assays, phenotypic screening, or preparing samples for next-generation sequencing, Miltenyi Biotec can recommend the best combination of kits and instruments to ensure gentle and fast preparation and analysis of target cells for your bioassay. Booth game and party: scan your tube and collect your prize! Find a tube with your individual barcode in your ELRIG conference bag. Visit us at any time at booth #A7 to scan your sample tube and win one of over 400 prizes. 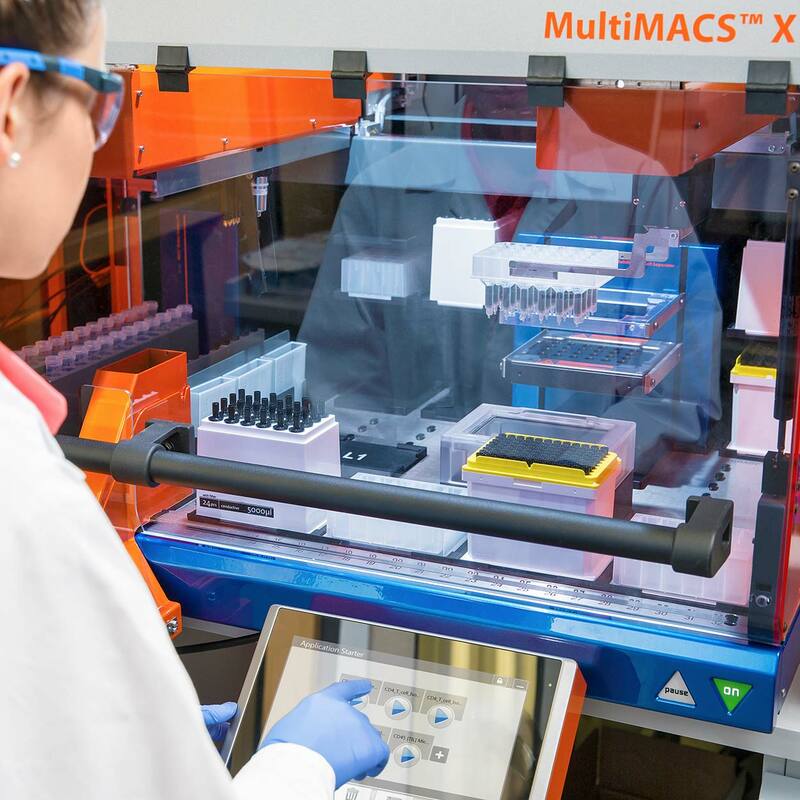 Join us for the MultiMACS™ X Party with snacks and prosecco on Tuesday, October 9, at 05:00 p.m.
Would you like to experience the MultiMACS X Cell Separator or MACSQuant® Cell Analyzer during an individual demonstration? Fill out the form below to schedule a meeting at your preferred time.